The collection includes material of scientific conference held in Izyaslav 21 – 22 December 2006. kindly provided the opportunity to publish full text of the collection of articles on the "Myslene drevo" site. Bibliographic description of books: A metaphor common home: Zaslavschyna many cultures. 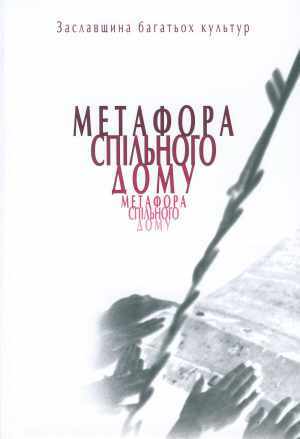 – Izyaslav – Ostrog: Publisher National University "Ostrog Academy", 2006. – 278 pp. Volyn-Kiev borderlands XI – XIII centuries by "Annals of Rus"
Ethnic and tribal affiliation characteristics of the population of the central lands of Volyn in IX – XIII centuries. Zaslav and Zaslav region as an important element of the trade structure of Volyn XVI – first half of XVII century. Cities of Zaslav region in early XVII century. Administrative-territorial division of Zaslav region in late XVIII – beginning of XXI century. "General description of Volyn gubernia" as the source on the history of Zaslav and Zaslav region in late XVIII – early XIX century.